Why Buy? 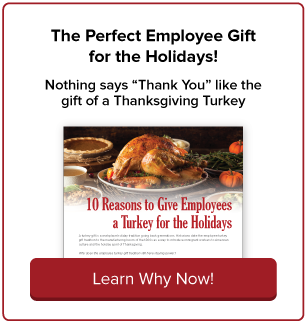 | Employee Gifts from gThankYou! Give Employees the Greatest Gift: Choice! 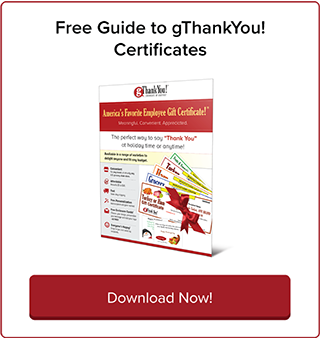 gThankYou Gift Certificates are meaningful, practical gifts everyone appreciates. We make it easy for you to buy and distribute your Certificates. Recipients love the flexibility to choose what works best for them and for their family. Everyone appreciates a thoughtful gift of a turkey or ham for the holidays. It’s a gift that is enjoyed with family and friends and is symbolic of the gratitude of the holiday season. What’s more meaningful than giving the centerpiece of the holiday meal as a gift of thanks? gThankYou Gift Certificates are easy to purchase, either online or over the phone (888-484-1658). Virtually all orders ship the same day, so you can have it as early as tomorrow! Certificates fit in a standard business size envelope so they are easy to send with company mailings or distribute in person. No messy storage or refrigeration issues. 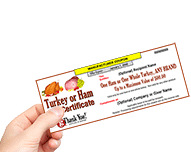 gThankYou Gift Certificates are good for Any Brand at virtually Any Grocery Store in the U.S., allowing recipients to choose what works best for their family. gThankYou Gift Certificates come in a variety of values to meet budgets of every size. We provide free personalization of Certificates with recipient names (if desired) and giver names. 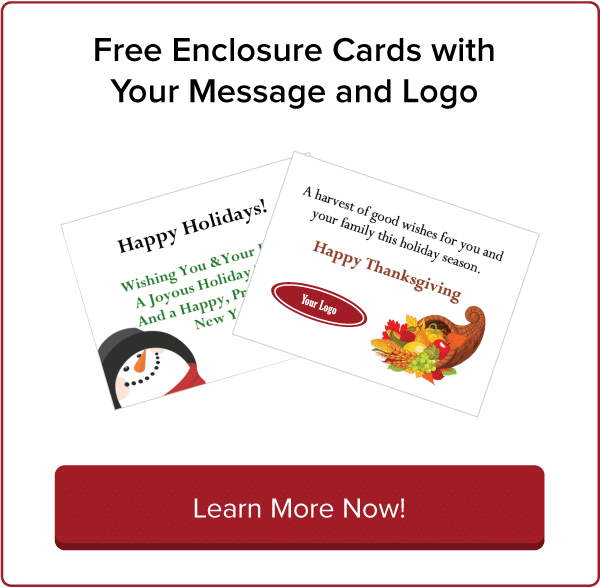 gThankYou also offers free custom Enclosure Cards – you choose from dozens of Enclosure Card designs, add your message and include your organization logo – all FREE!